What's changed in 20 years? “I’m not about to sit here in my duct taped plastic desk chair and predict the future of this magazine, but I do have a few ideas,” I wrote 20 years ago in my very first Off The Tongue in Rapid. I was 27 years old. The editorial was written, like this one, the night before the magazine went to press. I didn’t have a five-year plan. Hell, I didn’t have a one-year plan. I couldn’t have then imagined my dream would evolve to include Adventure Kayak, Canoeroots and the Reel Paddling Film Festival. Kayak fishing wasn’t really a thing yet, so the idea of Kayak Angler certainly hadn’t crossed my mind. And standup paddling was still something kids were taught never to do in boats. The great content we were producing for Rapid, Adventure Kayak, Canoeroots and Kayak Angler was only being enjoyed by readers of those individual magazines. Too bad, we thought. So we took the best stories from the four titles, wrote a bunch of exclusive stuff each month and published it to our apps. 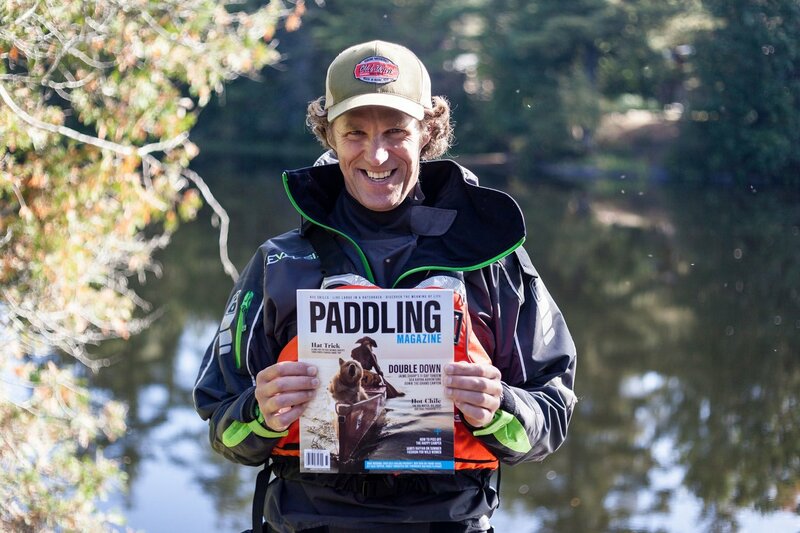 Paddling Magazine has grown to become our most successful digital title. It is our top-selling single issue and has the most digital subscribers. How can this be? Years ago whitewater rodeo teams drove pimped-out white limos. Sea kayaking was stuffy, but huge. Recreational kayaking didn’t yet exist. Paddlers at the time put themselves into one camp and one camp only. They read only one of our magazines. 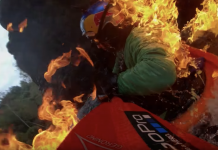 Today, Jackson Kayak’s company president, and the most decorated whitewater athlete of all time, Eric Jackson now spends as much time landing largemouth bass as he does landing whitewater freestyle tricks. 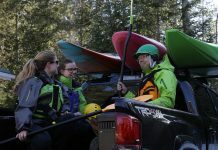 Dagger makes touring kayaks. Canoeing is booming again. 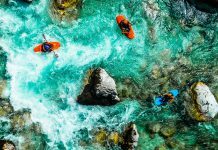 Perception doesn’t make whitewater kayaks at all; it makes recreational kayaks and paddleboards. Wave Sport is gone. Necky is gone. Liquidlogic put a hatch and a skeg on a whitewater kayak and called it a crossover. Millennials, the next generation of paddlers, don’t like to pigeonhole themselves like we did years ago. As a cohort they are less likely to be hard-core enthusiasts of anything, rather doers of everything. They too are more likely to read Paddling Magazine. This spring we launched a readership survey. 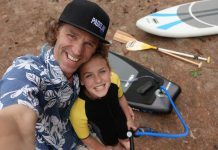 We asked thousands of subscribers and friends on social media why they paddle. We expected wildly different motivations from longtime readers of the different magazines. But the most popular reasons were pretty much the same. Fun. Freedom. Adventure. Exploration. Connection. There is a fantastic alumni of editors who have been making our magazines, newsletters and websites for the last two decades. There are canoe and kayak companies, gear brands and outfitters who have advertised in every single issue. We have readers who tell me they have every single issue we’ve ever produced. Some of these folks are going to ask me why this evolution has taken so long. Others will be sad with this change. Some may have already stopped reading this editorial to begin writing me letters. 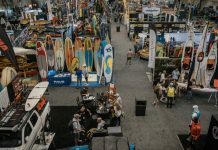 We’re bringing our long-time columns and your favorite writers together into distinctly branded sections of Paddling Magazine. You get your favorite magazine plus at least two more. We created this model six years ago when we launched our Paddling Buyer’s Guide—the largest and best-selling paddling magazine of all time. And again this year when we launched our Paddling Trip Guide, on its way to becoming another best-selling paddling magazine. I didn’t know when I walked into the Lone Star Bar & Grill that friends would suggest a couple young raft guides should start a whitewater magazine. I may have written nostalgic eulogies for each. I certainly would have printed a few extra copies. What I do know is, when I get new ideas in my head I can’t let them go. In Malcolm Gladwell’s best-selling book Blink he writes about successful army generals making strategic decisions with limited information. In war games, these army generals go with their gut feelings to beat super computers crunching millions of factors with thousands of possible combinations and permutations. Moving, is always better than not moving. Once the plan is rolling it’s possible to change course when new information crosses the war room or editorial table. I don’t have all the answers. I never have. But this move feels right in my gut. I’m excited about the new Paddling Magazine. Twenty years ago in that first Off The Tongue editorial I also wrote, “As Rapid matures it will take on many different forms, constantly changing, evolving and striving to be the best paddling magazine possible.” Maybe things aren’t changing all that much after all. Scott MacGregor is the founder and publisher at Rapid Media.